Our team is committed to providing our clients and customers with professional services based on our experience, knowledge and skills. 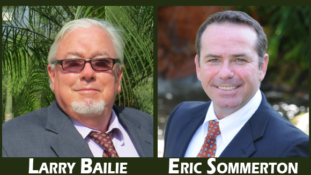 Team Bailie specializes in helping people buy and sell homes on an abundance of land. Much of this website is devoted to providing information and resources that are important in these types of transactions. Click here to explore homes on an abundance of land in Southwest Florida. Chocolate chip is the ultimate comfort cookie, but it isn't the only classic. Our collection of time-tested favorites includes peanut butter cookies, snickerdoodles, and more. Tropical plants are just perfect for on-the-go homeowners who appreciate the beauty and benefit of houseplants but don't always remember to water them. These five plants were put to the test and survived in a dark closet for THREE weeks!